Spent this weekend in the garden. I love the weather we have right now….warm but not too hot with a nice breeze. 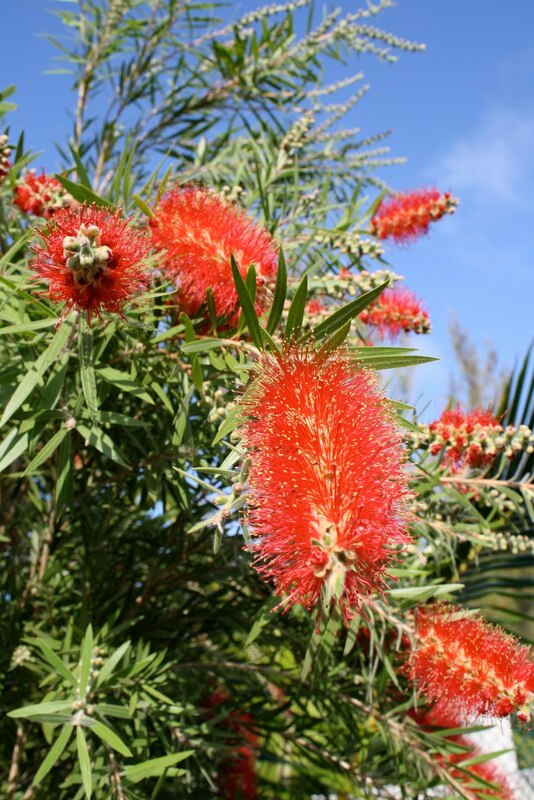 I was also very excited that my bottle brush tree finally bloomed. I think this is my favorite tree. It is so pretty when it is blooming. Also cleaned out the turtle ponds. 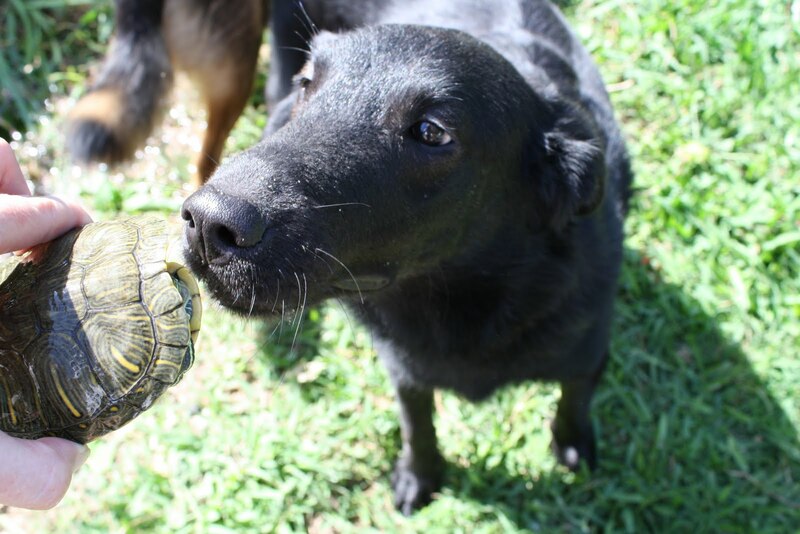 Whenever we do this the dogs are very curious about the turtles. Trixi got nipped in the nose by one this time, so she’s not so curious anymore! But Salty here has no fear! 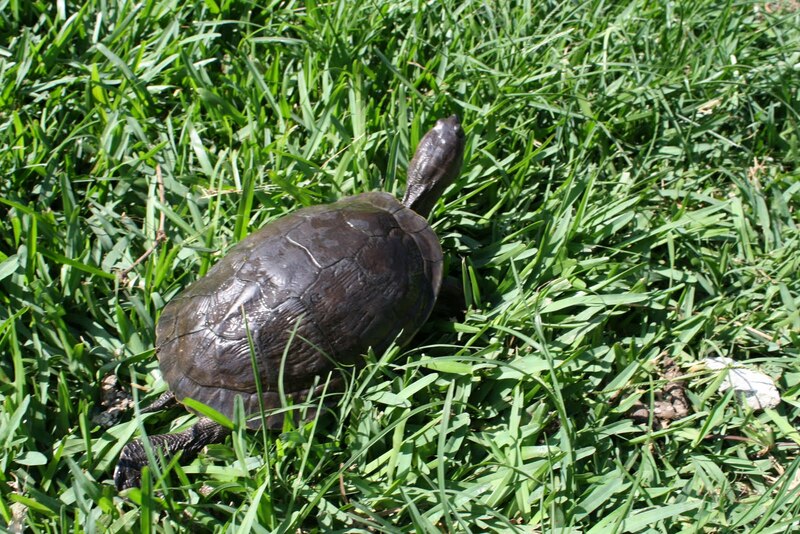 I let some of the turtles have a run in the grass. Whoever came up with the idea that these creatures are slow….was very wrong! This one below is my large female. She is about five times bigger than the little one in the above picture. I couldn’t hold her in one hand and take a picture with the other!……well I could if I wanted to get nipped myself, but after Trixi yelped and jumped back about four feet, I figured it hurts! I also finished up my Urban Home Goods Swap this weekend and will be mailing it out tomorrow. 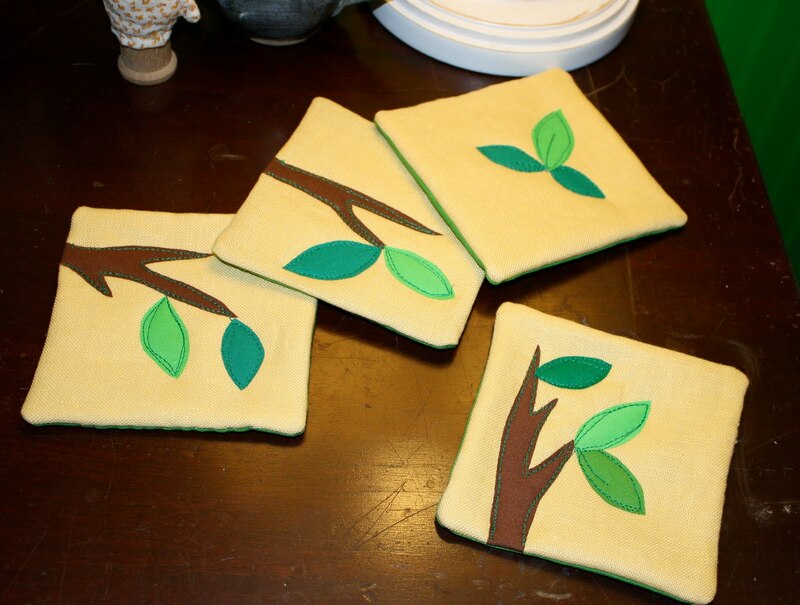 I made a journal cover and a set of coasters. Hope my partner likes them! Just a quick post since I just came from the studio trying to finish up some jewelry orders. I have usually been asleep for an hour by now, so that is why there are a lot of pictures and not much writing in this post! 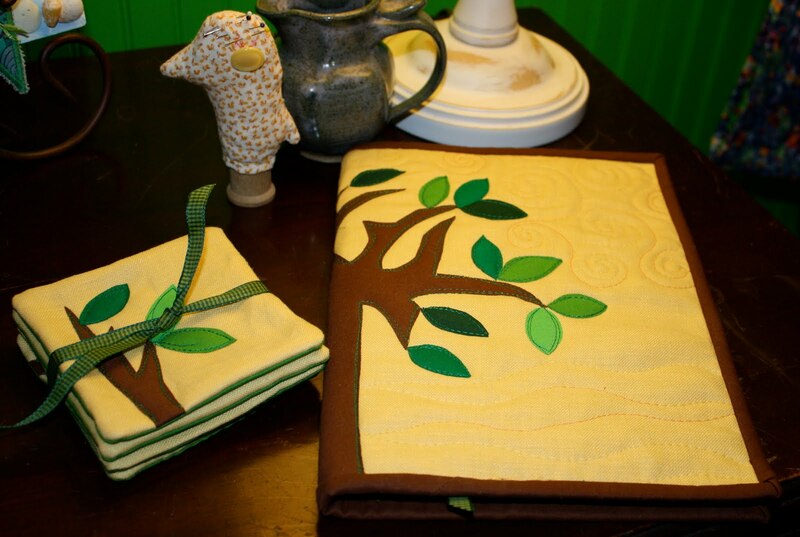 This entry was posted in fabric stuff, journal covers, sneak peeks, swaps, turtles. Bookmark the permalink. ← A Peek and A Ta-Daaaa! The book cover and the coasters are lovely!